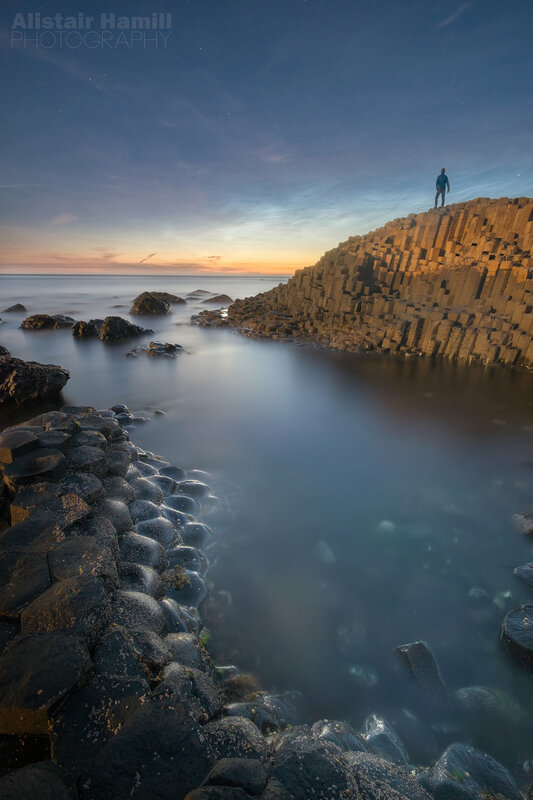 With the glorious summer weather and clear skies we are enjoying in Northern Ireland at the moment, there is no better time to enjoy the never ending twilight skies of mid summer! As the sun sets as lazily as you can imagine and we head to the wee small hours of the night, the glow of twilight hangs on to the northern horizon and into the midst of the night, before glowing again as dawn approaches. This makes for the most wonderful of photographing conditions and allows you to capture the landscapes in a unique way. How to use your camera's histogram ensure you get well exposed photos. Noctilucent clouds (these magical night glowing clouds are amazing to see - we'll get to photograph them if they make an appearance). Numbers will be capped at around 5 people, allowing for lots of time for 1-2-1 attention and advice. Head torch - we will be navigating uneven surfaces in the semidarkness, so this is essential. Sturdy footwear, preferably with ankle support. Appropriate clothing - it shouldn't get too cold, but you don't want to get chilly in the wee small hours! A follow up post processing session. I will take one of your RAW files and will video myself processing it using Lightroom and Photoshop to show you how I achieve the look I get in my twilight photos. Further details of where we'll meet etc will be provided once you've signed up.